Ear mites are tiny mites that live on the surface of ear canal skin of cats (or dogs). They are barely visible to the human eye. An infestation produces brownish ear wax, similar in appearance to coffee grounds. Ear mites are contagious and can travel from the ears of an infected cat to any other cats in close contact. Cats who are infected with ear mites typically have very itchy and irritated ears and frequently scratch at their ears or shake their heads. The ears can become red and inflamed, and there can also be rashes or other skin reactions around the ears. Ear mites are a very common problem in cats, particularly in kittens. If your cat’s ears appear red, inflamed or irritated, or you see waxy debris inside their ears, consult with your veterinarian for a definitive diagnosis and treatment options. Ear mites are transmitted through social interaction with other infected cats, which can include grooming, sleeping and playing together. All cats should be checked regularly for any signs of ear mites. 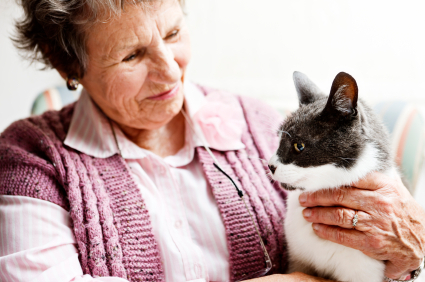 Ear mites can be successfully treated with a number of medications. Because ear mites are contagious, all pets in the household (both cats and dogs) should be treated for ear mites. Your veterinarian can provide assistance in choosing the most effective treatment for your cats and other pets. For veterinary professionals, more detailed information on ear mites can be found at https://www.capcvet.org/guidelines/otodectic-mite/. Cats with ear mites frequently have itchy, reddened and inflamed ears. Ear mites cause brown wax to build up inside the ears. Cats get ear mites from other cats or dogs who have them. Ear mites are treatable. See your veterinarian for treatment options. All dogs and cats in your household need to be treated at the same time. Your veterinarian will clean your animal's ear canal and give you a medication to apply. Ear mites may also lead to other infections that your veterinarian would diagnose.